Glad it passed Carlos. What a pain in the ***k huh? You know maybe you ought to change your diet, but what to I know, I think I have had four in the last four years. Well guys, painful yes but at least, this one came and went fast. At 5:05 am, one heck of a monster was born. Glad it was over relatively fast, Carlos. Also hope that the kidney stone factory ceases production! You have no idea how many times I have been there, done that in the last 16 yrs. I have been told I qualify as "chronic". Diet doesn't seem to slow them down so gave up eating water for the most part and went back to real food. Drugs don't seem to be helping either. I am on hydrochlorothiazide and still got them again. Good thing they didn't also say "contagious". I was supposed to do one of those 24 hr urine observations/test and never did. I think this one will get me to piss in that container for the next 24 hrs and send it in to be further analyzed. The real funny thing here is my brother in law in NJ competes with me. I then go my first after him. After that, I have always maintained the lead, with him following close behind. Can't wait to call him and break the news to him. He will immediately realize that means his is around the corner. Must be something in the Cuban blood that we both produce so many. Perhaps the common trait is we are married to sisters. It is our wives that cause them. Darn, the answer was right before my eyes the whole time. 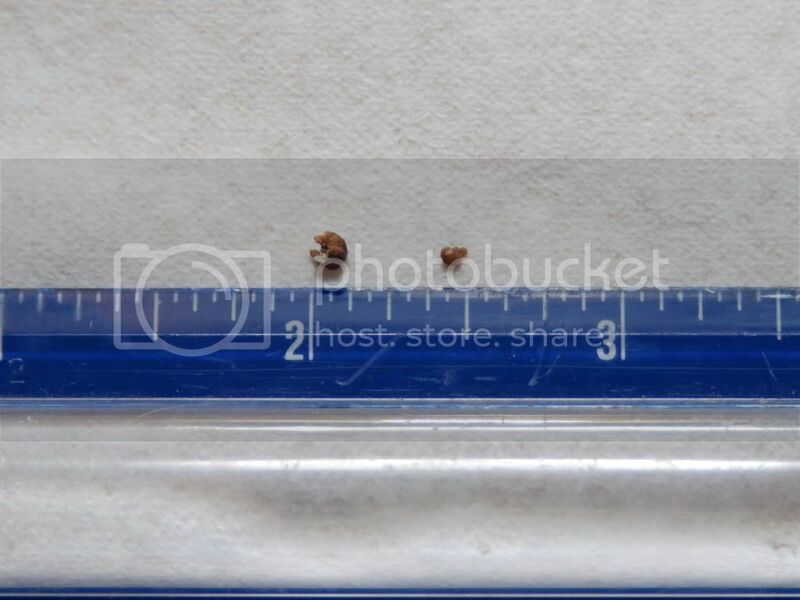 When I had my longest running one (intermittant, medium pain instead of the gut wrenching agony that some of them brought), the doctor gave me a strainer to "catch" the stone in. After a week and a half of taking the thing everywhere....restaurants, friends' homes, work, etc....I said **** it. Glad the latest one was birthed- hope future ones will be few and far between. ¡Buene suerte, amigo! I always tell people you have the biggest stones of all. What do you carry them around in, a kevlar sack? Glad to hear it was a quick one, buddy. May your MTBD be long. I went to emergency room with mine. I was in so much pain I couldn't stand up straight. They had me do the strainer thing, and when it finally passed, I was like "Are you f**king kidding me?!" I guess I was expecting a boulder. the doctor gave me a strainer to "catch" the stone in. Most folks have the same initial experience. I have found the smaller they are, the more painful. The tiny ones have a tendency to have sharp edges and move around quite a bit, hence cutting you up inside. The bigger ones are more "docile" and generally drop a whole lot faster. The problem is when they get so big you can't pass them. The method they use for getting them out is not humane, or at least, not even remotely comprehensible to the average person. The method they use for getting them out is not humane. I still shiver when I recall that bastage doing that to me. Will photo the newborn and show the world. The newborn, "Jupiter", is on the left. As you can see, a healthy, 1/8" baby. However, he does look like that sphere in Star Wars after it got partially blown up. For comparison, "Pluto", is on the right. Pluto was born in July, the second stone I passed in a 48 hour period. You should try being on this end. Nope. Won't let you off that easy Perry. You want to hear about someone enjoying an old Cuban Dunhill or you want to experience it yourself to really know the feeling?